Newcomer Family Obituaries - Ronald W. McLin, M.D. 1932 - 2019 - Newcomer Cremations, Funerals & Receptions. Ronald W. McLin, M.D. peacefully passed away Wednesday, January 16, 2019 at the age of 86. He was born on October 9, 1932 in Dayton, Ohio to the late Dr. William M. and Ruth (Herrold) McLin. On June 26, 1960 he married the love of his life Linda A. (Yoder) in Dayton, Ohio and she survives in Centerville, OH. Ronald is lovingly survived by his sister Karen (John) O’Neill of Austin, TX; daughters, Deanne McLin of Centerville, OH and Rhonda McLin of Dallas, TX; and son William (Alisa) McLin of Calgary, Canada. He is also survived by brother-in-law Harold (Rose) Yoder; as well as two nephews. Ronald graduated from Roosevelt High School of Dayton, OH and afterwards enlisted in the US Army where he served in Austria as a member of the Dental Corp. Completing his term of service in the US Army, he returned to attend the University of Dayton for his undergraduate degree and Marquette University School of Medicine of Milwaukee, WI for his medical degree. Ronald completed his residency in pediatric anesthesiology at Thomas Jefferson University Hospital in Philadelphia, PA. He returned to the Dayton area with his young family, and is where he practiced anesthesiology at The Children’s Medical Center until his retirement. Ronald dedicated his entire professional career to helping sick children heal. He was an avid reader of history, especially military, as well as many other subjects. Ronald not only enjoyed reading about history, but was also an active participant in civil war re-enactments and took great pleasure in bringing the past to life. Although growing up in the city, later in his adult life Ronald became a solid horseman which he loved. It became a major source of entertainment, and he often rode his horses in full Calvary uniform. Ronald loved music often listing to military marches, bag pipers or a good Celtic tune. He was a wonderful husband, father, and provider who will be greatly missed. 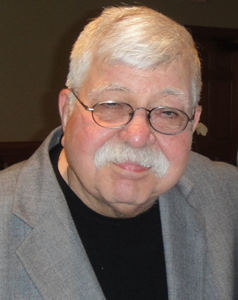 Visitation will be held at Newcomer Cremations, Funerals & Reception; South Chapel, Kettering, OH; on Monday, January 28, 2019 from 11:00 am – 12:30 pm followed by a memorial service to honor Ron. A private interment will be held at Dayton Memorial Park. In lieu of flowers, memorial contributions may be made to Dayton Children’s Foundation or a charity of the donor’s choice. Add your memories to the guest book of Ronald McLin, M.D.. I extend my deepest condolences to all of the extended McLin Family. I had the privilege of meeting the Doctor personally once in the company of a mutual friend and Civil War and Cavalry enthusiast, Tom Bookwalter. I vividly recall that Tom had created a figure of "cavalry Sergeant McLin" in perfect likeness. Living here in Springfield, I don't get down that way too often, but I DO remember my visit that once. May GOD Bless you all and comfort you at this time of great personal loss.